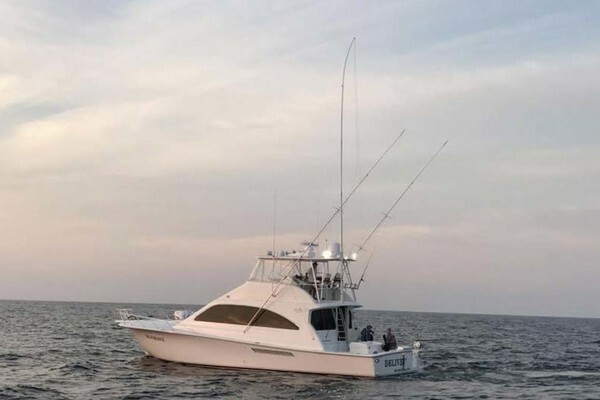 United Yacht Sales New Jersey would love to guide you through a personal showing of this 57' Nordhavn 57 2001. This yacht for sale is located in Menton France and priced at $925,000. For a showing please contact us by filling out the form on this page and we will get back to you shortly! The large cockpit on "KATIE JANE" measures over 7 ft. long by 15 ft. wide. A standard integral fiberglas swim step located aft of the transom has been given an additional custom slatted swim platform, adding valuable waterline length as well as making stern boarding convenient. The cockpit is also equipped with built-in storage lockers, and a generous lazarette featuring an access door forward into the engine room. Inside the salon, a custom finished adjustable table with seating is located to port. The galley is forward to port, with an access door for provisioning, the washer/dryer and engine room access to starboard. 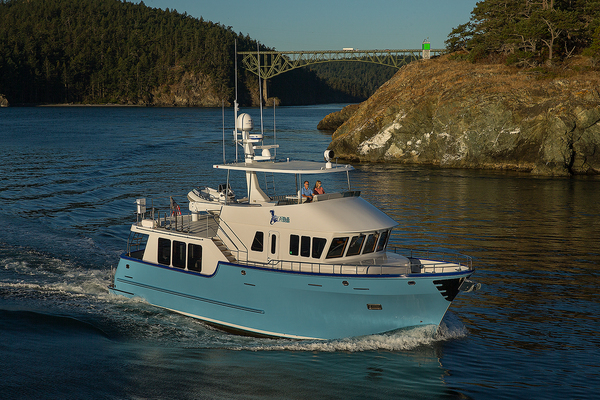 Several steps up lead to the large pilothouse with helm chair, L-shaped seating and table, port and starboard pilothouse doors that access the Portuguese bridge, and a separate set of interior stairs that lead to the flybridge. Continuing forward from the pilothouse to starboard, you descend a set of curved stairs leading to three separate cabins along with two separate heads and showers. Guest stateroom set to function as both office and two bunk berth stateroom.